This is a round William A. McAdoo Milk porcelain sign. This particular William A. McAdoo Milk sign is orange with black text. 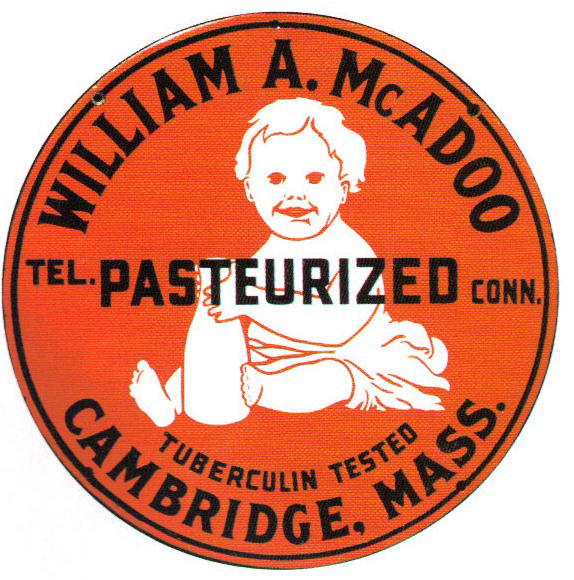 It reads, “William A. McAdoo, Pasteurized, Tel. Conn., Tuberculin Tested, Cambridge, Mass.” and features a white baby holding a bottle of milk in the center of the sign.